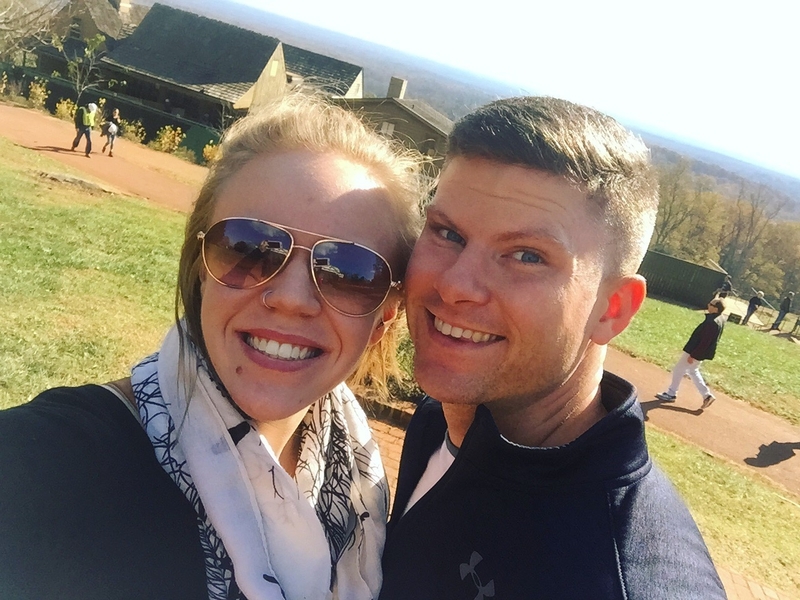 I think Petula Clark was on to something – because last weekend, when I was still deep in the dark place, the fiance and I took a quick little jaunt down to Charlottesville, VA (not exactly “downtown”) to spend some time together outside of our normal routine. It was a short trip, but it was just what we needed. Between crazy work schedules and travel and extracurricular commitments, finding time to be together and just enjoy each other’s company has been a challenge, because when we are together, we’re usually running errands, or cleaning the house, or hosting our friends for Sunday football, or collapsing on the couch after a long day and zoning out in front of Netflix. And trying to save money for the wedding has meant that we have been keeping things pretty low-key. So, we planned a weekend away. But what was supposed to be a two-night stay became a “less-than-24-hour excursion” because, wouldn’t you know it, work happened and we needed to get back in time for that. That said, we managed to capitalize on all of our time there and it was just what we needed. 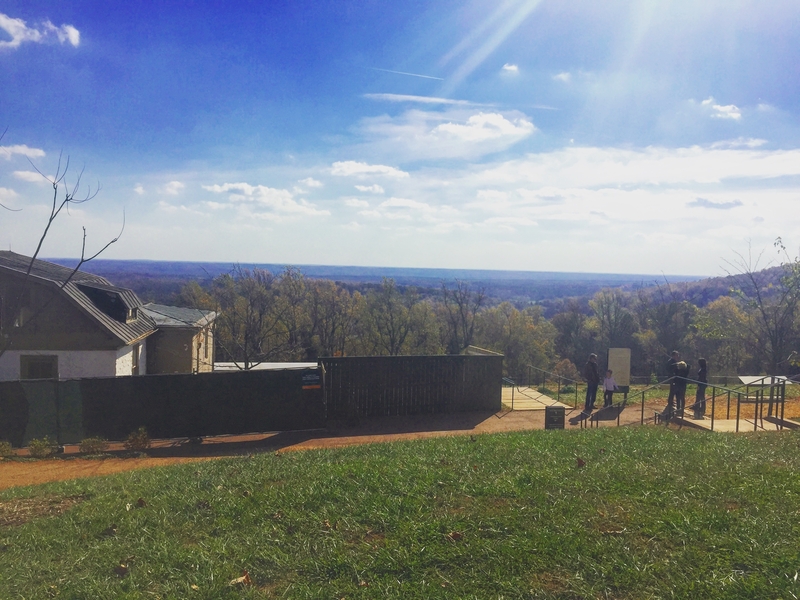 Friday morning, we hopped in the car and drove back country roads to Monticello, Thomas Jefferson’s estate just outside of Charlottesville. We spend lunch and the early afternoon there exploring the grounds, enjoying the unseasonably warm sun, and touring Jefferson’s house. Consequently, I think we also managed to get Hamilton songs stuck in everyone’s heads if they were following us on social media. Following Monticello, we had planned to visit a winery, but we were tired and hungry, and decided that checking in to our hotel sounded like a better plan. Because that involved stopping for snacks and then laying in bed watching tv and napping without any reason to move. One of the big reasons we wanted to visit Charlottesville is that it is the birthplace of the Dave Matthews Band. Dave was living and working as a bartender in Cville when he formed the group and there are a number of DMB landmarks there. Clay really wanted to see a few of them, so we spent the evening on a DMB mission. It was important to Clay for us to stop at Leroi Moore’s gravesite – Moore, one of the founding members of the band, passed away in 2008. He, and the band, have meant a lot to Clay over the years, and getting to pay his respects was something Clay had wanted to do for a long time. Afterwards, we decided we needed a drink and some dinner – and we needed to pour one out for Leroi. Or shoot whiskey. Same thing, right? I thought so. 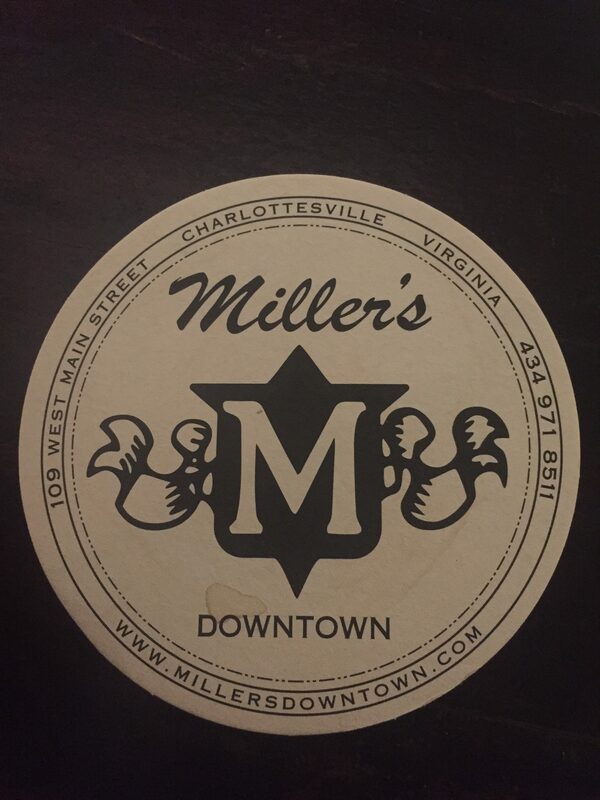 So, we headed to Miller’s Downtown – the bar that Dave Matthews was tending at when he put the band together. Yes, there was fangirling. No, we’re not sorry. The burger and the wings were awesome and downtown Charlottesville is the cutest. They’ve taken a few blocks of the downtown area and closed them to vehicles, so it’s just a pedestrian mall. We walked up and down it after dinner and explored that little corner of the city before retiring to bed. 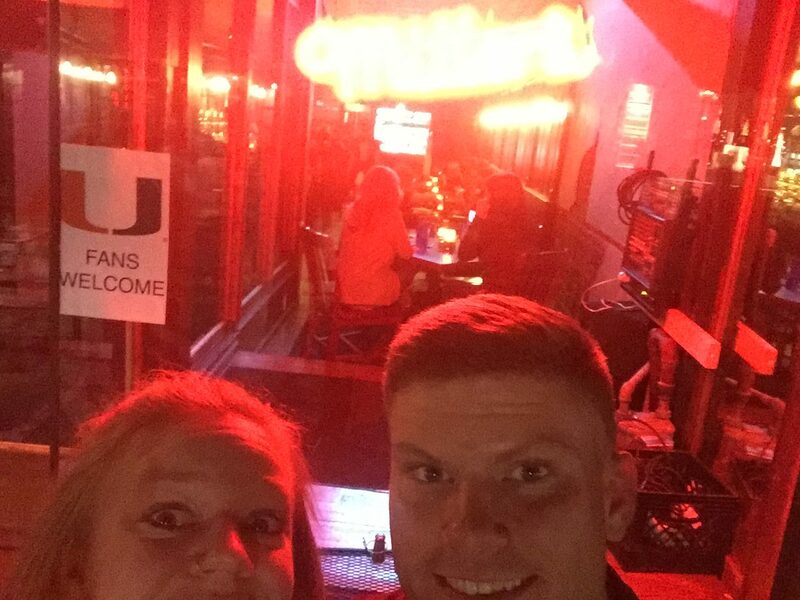 When you try to get the Miller’s sign and your faces in one picture… with little success. Saying goodbye to Charlottesville the next morning happened early and cold – but we left feeling rejuvenated and energized and, honestly, more connected. That sounds so sappy, but it’s true and I’m grateful that in the midst of what has been a very uncertain and emotional week, we were able to find time to focus on each other. This entry was posted in Fun stuff and tagged charlottesville, dave matthews band, kyle, travel, virginia. Bookmark the permalink.